Kaduna State male Cricket team Monday emerged Champions of the ongoing National Youths Games (NYG) 2016 after defeating their Kwara counterpart in the finals to clinched the gold medal. The Kaduna cricket team defeated the Kwara state team by 10 wickets in the finals. Earlier, team Kaduna thrashed Rivers state in their knock out match with 7 runs and also humbled Sokoto by 7 wicket in the semi final match to qualify for the finals against Kwara State. 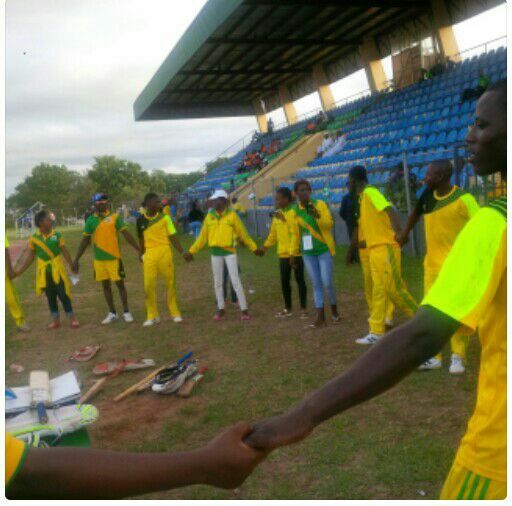 In the female category matches played, Anambra female won with 7 wickets defeating Opponent from Akwa Ibom. Coach of Kaduna Cricket Obinna Elise expressed satisfaction with his players performance adding that it was a deserved victory. “I am happy to win the gold medal for Kaduna state because we worked for it and it was a deserved victory. “We did not break the genes because we have always been on the run for medals which we got again today.